Get your little elves growing for National Gardening Week! It’s tough being green-fingered when you live at the North Pole. But our Elf is a determined little fellow and isn’t going to let a few sub-zero snow drifts get in the way of him enjoying National Gardening Week! It's April 11th - 17th 2016. When Elf is not making toys or getting up to mischief, he likes nothing more than getting up to his elbows in muck among the flowerbeds. Read on to discover Elf’s favourite gardening ideas for kids and you too could get the whole family enjoying the great outdoors for National Gardening Week. Sunflowers have to be one of the easiest plants for kids to grow – and they grow to impressive proportions! The big seeds are easy for even younger children to handle and everyone in the family can take part in a competition to see whose sunflower grows the tallest. April is the best month to start off your sunflower plants, so this is an ideal project to embark upon for National Gardening Week. This fantastic downloadable sunflower pack from awamu.co.uk can help you keep track of your sunflowers’ progress and is also a great resource for teaching older kids about the life cycle of plants. Go to http://awamu.co.uk/wp-content/uploads/2015/03/AwamuSunflowerPack.pdf to download yours. What could be more magical than seeing a wriggly little caterpillar metamorphose into a beautiful butterfly emerging from its chrysalis? Spring flowers have to be the prettiest of the year, so why not preserve a few of them this National Gardening Week? Children will love picking a selection of your spring blooms and pressing them using this guide from kidsgardening.org. When the pressed flowers are fully dried they can be used in a whole host of art and craft projects – perfect for those rainy day activities! 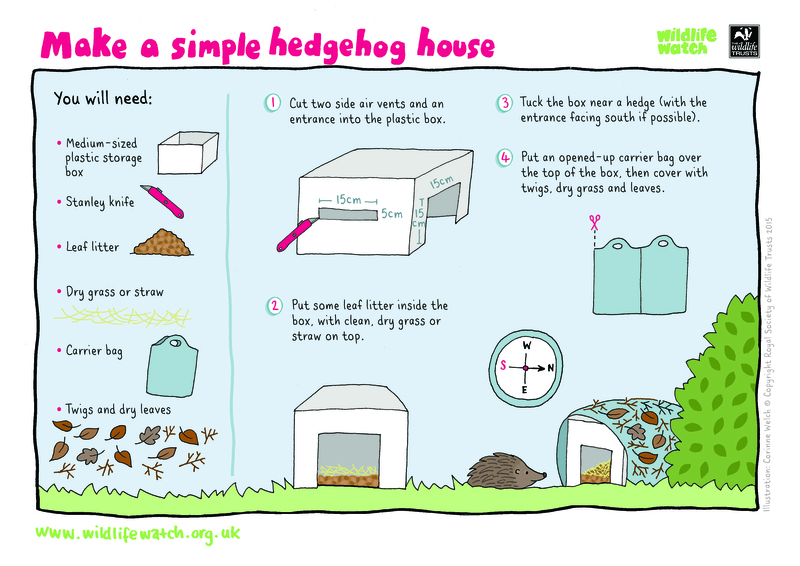 Hedgehogs are a blessing for any gardener – not only do they help control slugs and other pests, but they are super cute too! Sadly, these charming little characters are rapidly declining in Britain, so why not give them a helping hand by encouraging them to make a home in your backyard? If the British weather is true to form this National Gardening Week, you may well need some rainy day activities to keep the kids busy. Painting a plant pot will keep them entertained while creating a lasting keepsake to brighten up the patio. This guide from the BBC has a few ideas for simple designs – pots of fun for little artists! We’d love to hear how you get on with Elf’s National Gardening Week activities! You can share your garden pics with us on Instagram or Facebook.